Heat waves are extreme weather phenomena that can have an impact on health. They are especially hazardous to the health of infants, toddlers and the elderly in need of care. It is assumed that storms, hurricane and floods will also have an effect on health, either directly or as a result of stress. Impaired drinking water and supply has an indirect health impact. The German Weather Service (DWD) heat warning system will be working to better protect health by providing improved information. Current climate models suggest it is quite likely that the trend in global warming will continue and that the annual mean temperature will result in an increased number of hot weather days in the summer – with maximum daytime temperatures above 30°C, and longer lasting heat waves. Reliable predictions about their occurrence, extent and predictability are not as yet possible. Heat waves are a type of extreme weather event that can cause serious widespread health problems, as was seen in the summer of 2003 throughout western Europe and in Germany. Due to localized conditions (e.g. urban areas with high rates of sealed surface, lacking fresh air corridors and greenfield areas, or urbanisation in valleys and mountain basins), heat waves can cause health problems for some of the local population. Heat waves pose no increased risk for healthy persons, provided they drink enough liquids and eat appropriately and adapt their behaviour. However, more sensitized groups such as infants, toddlers, the elderly and the infirm may be more acutely affected. Health concerns related to heat waves will become a greater concern in our ageing society. Climate change can lead to an increase of extreme weather incidents that have either a direct or potential impact on health. These events include the consequences of storms and hurricanes and flooding caused by heavy or constant rain. The health effects these circumstances may trigger are physical (infections, injuries or even death) as well as psychological symptoms like stress, anxiety, trauma and depression. Adverse impacts to the environment through climate change can cause indirect health effects and risks. These changes might affect the quality and quantity of drinking water and food, modified or extended occurrence of biological allergens (e.g. pollen), and animal vectors such as ticks or mosquitoes. Early warnings are issued to the Länder and if necessary, to counties, who will authorise regional measures suited to local conditions (e.g. for the elderly and those with impaired ability to react due to residence in nursing homes and hospitals) and issue recommendations for dealing with the heat (e.g. to the general public. A neighbourhood-based support network for the elderly, sick or infirm who live alone or without care is important in this regard). The objective is also to provide more and better information to these most vulnerable groups of the population and to enhance the ability to act at the policy, administrative, health care and social system level. This includes training and adequate mobility of medical care professionals to provide preventive health care that is attuned to the target group. 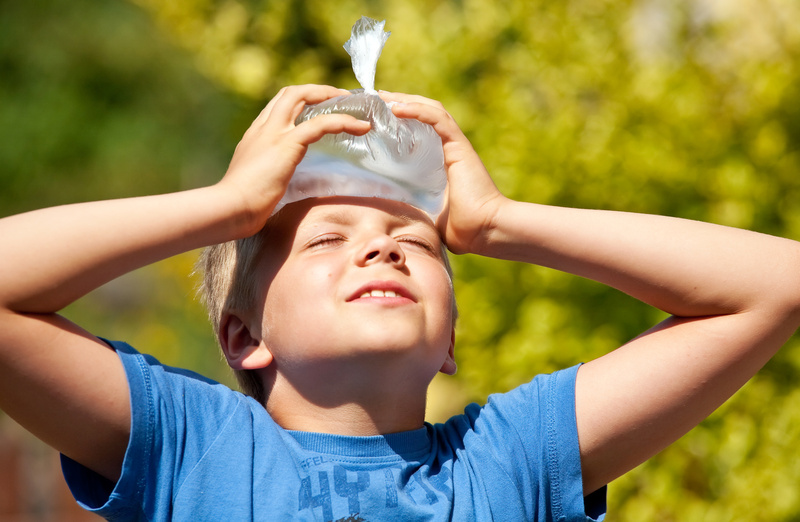 The hazards associated with heat can vary greatly depending on the individual. In any event great care must be taken to avoid dehydration of the body.